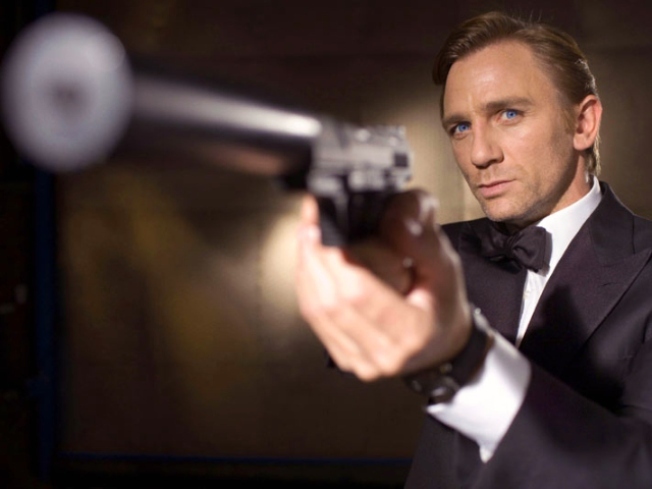 New Spy History Reveals Real "James Bond"
Go ahead, make my movie. A new history of the famously secretive British intelligence agency MI6 is shedding light on the real-life inspiration behind James Bond, reports the Telegraph. Professor Keith Jeffery’s book, “MI6, the History of the Secret Intelligence Service,” reveals that a Commander Wilfred Dunderdale is the most likely model for Ian Fleming’s super spy. While a photo of a fake I.D. shows that he lacked the dashing good looks associated with the big screen incarnations of Bond, Dunderdale befriended Fleming and later claimed to have seen traces of his exploits in the books. “A man of great charm and savoir-fair, in old age he became an incorrigible raconteur,” Jeffery said of Dunderdale. The love of cars and beautiful ladies are characteristics attributed to the MI6 man. “When head of the Secret Intelligence Service Paris station in the 1930s, he had a penchant for pretty women and fast cars,” said Jeffery. The book says that an iconic scene from the Sean Connery-era Bond movie “Goldfinger” was grounded in reality. In the movie, Bond emerges from the water and takes off his wetsuit, revealing a dinner suit underneath. In real life, an M16 agent wearing a special rubber suit came ashore near a casino in Nazi-occupied Holland. He was met by another agent who sprayed him with brandy to finish off the disguise as a party attendee, and the tuxedoed man slipped into the crowd unnoticed. Another interesting tidbit is that the spy agency admitted for the first time that several famous English authors, such as Graham Greene, Arthur Ransome and W. Somerset Maugham, were staff members for M16 during World War II.